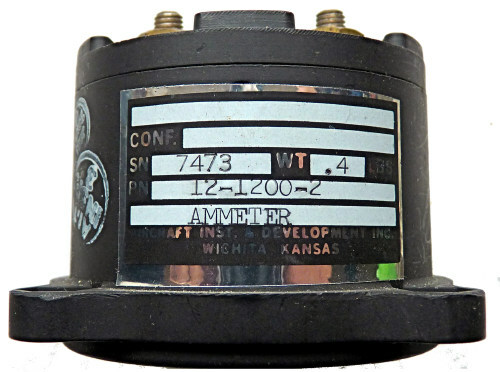 Ammeter +/- 5mA moving coil instrument, stamped Sep 09 1975 Made by: Aircraft Instrument and Development Inc. Wichita Kansas. Working. Altimeter Air Ministry WW2 Mk XV1A altimeter part no 6A/1537 Serial no. 1133/43 3½ inches diameter. The initials ICAN refer to the International Commission for Air Navigation law which details the method of calibration based on air temperature and sea level pressure. Working. 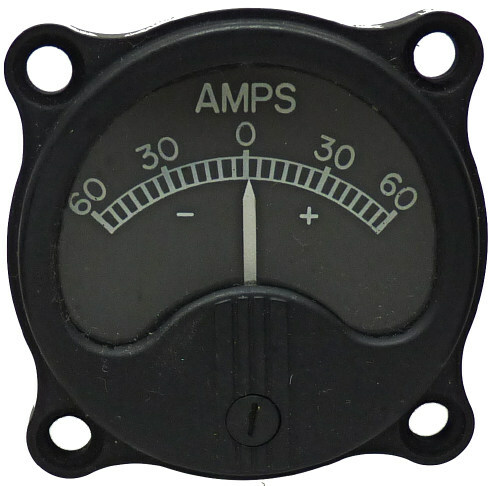 Level meter Moving coil 100 uA DC instrument calibrated 0-90 FEET. Stamped with R-M-1944 and US Navy anchor. Weston Electric Corp. model 840 type 44H. 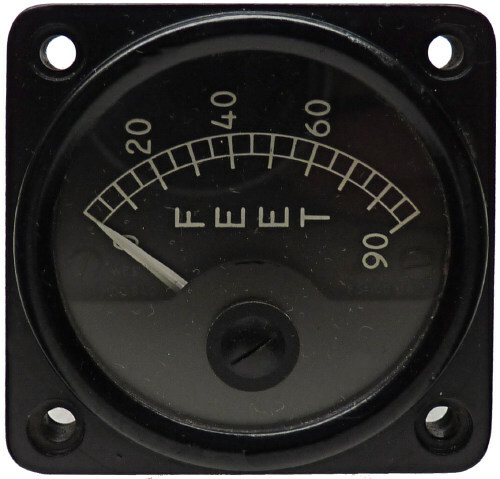 Possibly the indicator for a FM radar altimeter and believed to be similar to those fitted in Liberator bombers. This type of system was used as an aid for low level flying in sea search, torpedo launching, low altitude bombings, photographic reconnaissance and as a landing aid. Working. 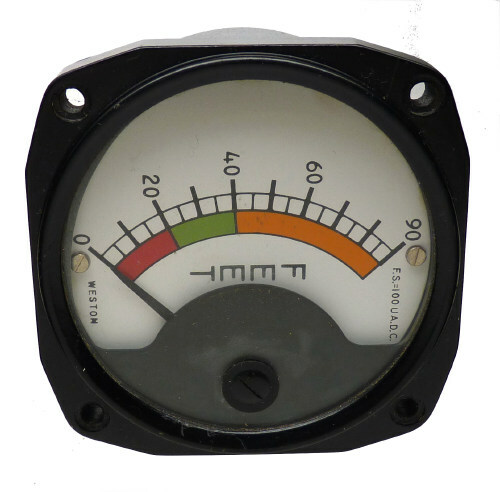 Level meter Moving coil 100 uA DC instrument calibrated 0-90 FEET with coloured scale. Stamped R16-1-1952. 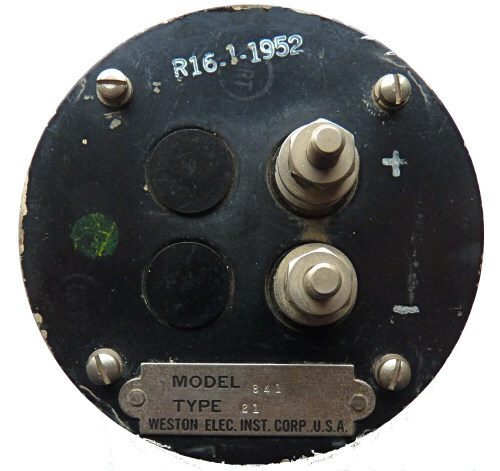 Weston Electric Corp. model 841 type 21 80mm diameter. 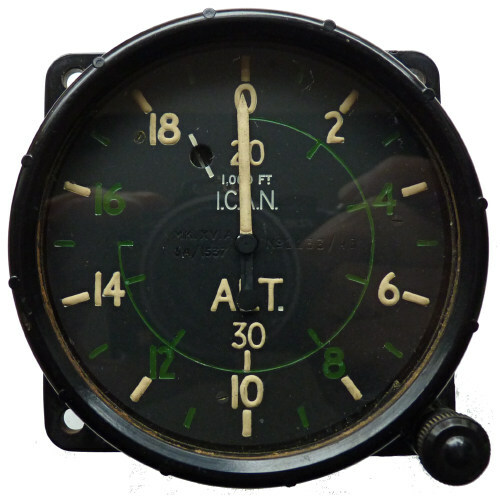 Possibly the indicator for a FM radar altimeter and believed to be similar to those fitted in Liberator bombers. This type of system was used as an aid for low level flying in sea search, torpedo launching, low altitude bombings, photographic reconnaissance and as a landing aid. Working. 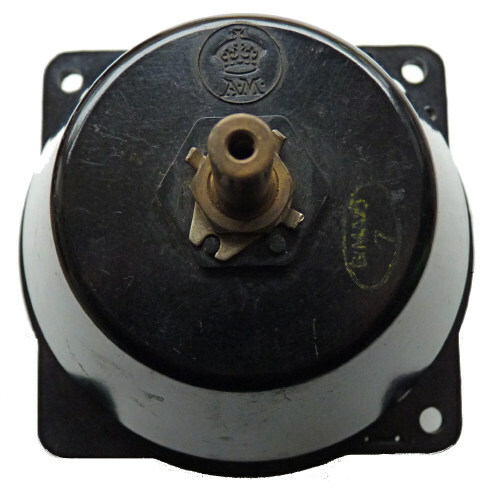 Ammeter Moving coil 500 uA DC movement, 300 degree scale FSD 240 Volts. Stamped with R-M-1944 and US Navy anchor. 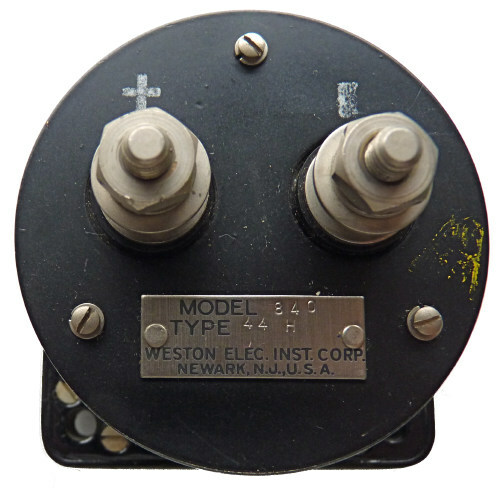 Weston Electric Corp. model 840 type 44H. Scale markings suggest it might have been part of a radio transmitter? 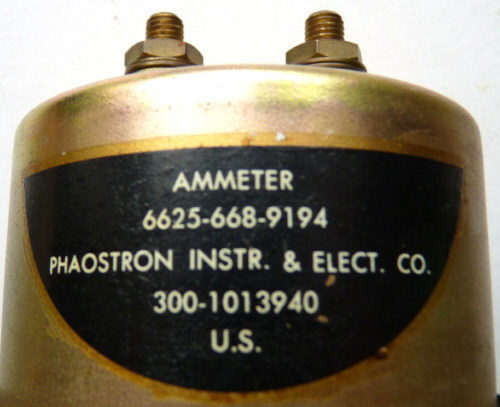 Ammeter 6625-668-9194 Phaostron Instr. & Elect.Co. USA. 6625-668-9194 is a US military part number. Working. 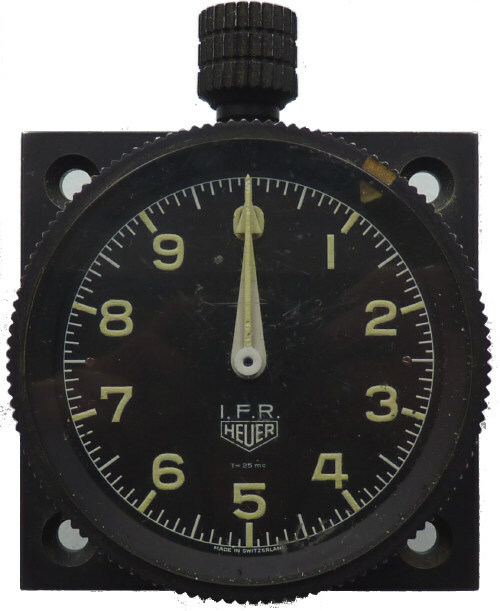 Stop clock Heuer. This panel mounted stop clock is not working, the mainspring is apparently broken. 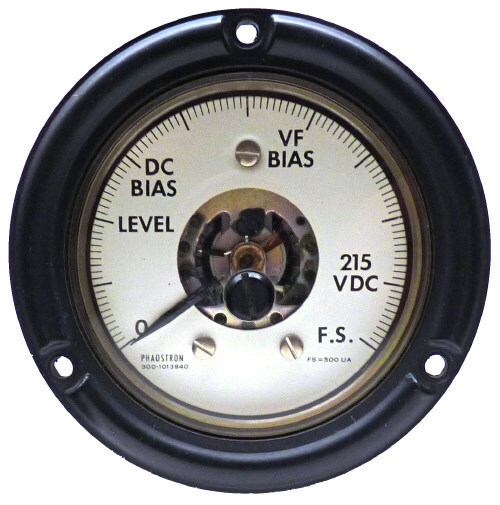 IFR on the clock face refers to the Instrument Flight Rules which govern civil aircraft operation. Swiss made Leonidas SA. The mounting plate is 58mm square.